The Directorate of the Public Prosecutions this morning asked the court to detain for 21 days two MPs accused of incitement to violence and promoting war-like activities in Marsabit County. The DPP says the time will be enough for them to gather enough evidence against the two. 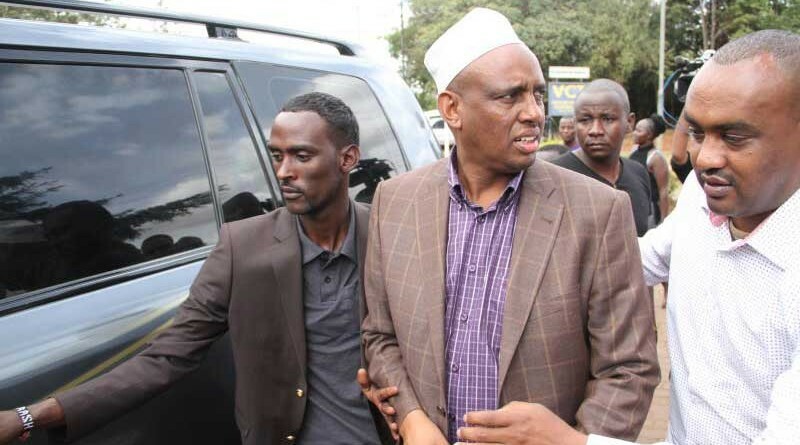 North Horr MP Chachu Ganya and his Saku counterpart Dido Ali Rasso were this morning presented before a Nairobi court over clashes that has left 14 dead. The two, however, did not plead to the charges after the prosecution asked Senior Principal Magistrate Kennedy Cheruiyot to allow the police detain the suspects for 21 days to enable them complete investigations. The court is set to rule on a prosecution application this afternoon. 2 MPs accused of incitement to violence, promoting war-like activities in Marsabit County to be detained stieva a.